One of spring’s biggest fashion trends this year is a pleated skirt. 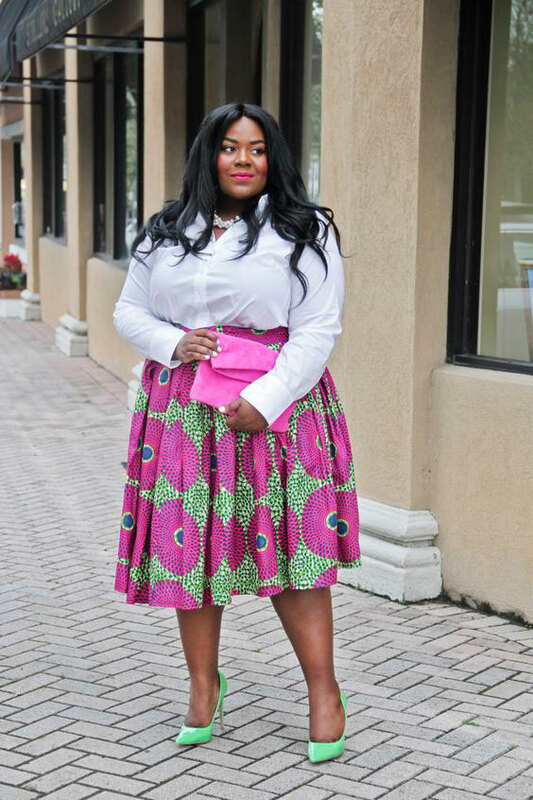 Now, I realize that pleated skirts can seem intimidating to wear, as well as a little too preppy, professional, and maybe even old-fashioned. I get it! Knife pleats (the tiny, sharp pleats you usually see on midi skirts) are also difficult to take care of and have a very *~*high fashion*~* quality to them. Even larger pleats can seem difficult to wear because they can easily look very dressed up or mature… and that’s not always the look you’re going for. 3. 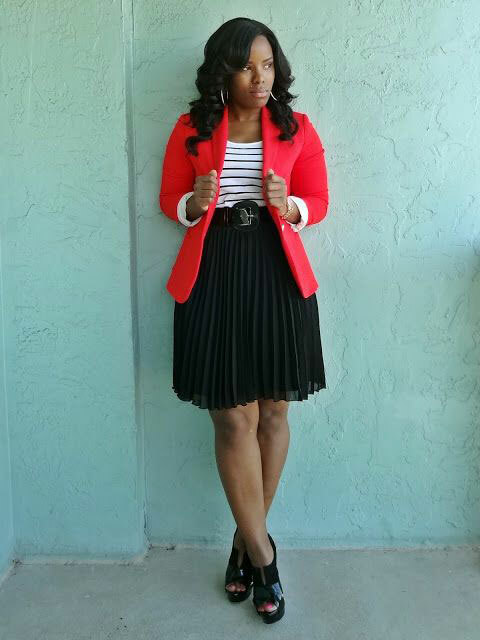 Add a cropped and fitted leather jacket to bring a little toughness into the look. Ankle boots and a bun keep the look casual but cool. 9. 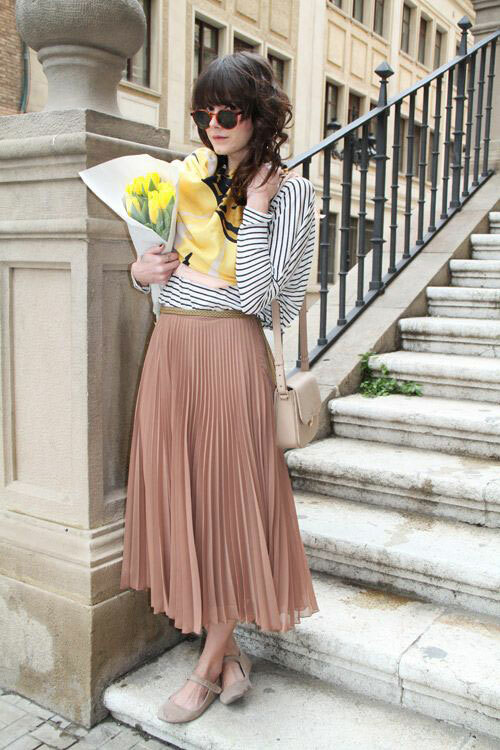 A white pleated midi skirt like this one can easily look too fancy or mature. All you need is a plain tee, a denim vest, sandals, and a few touches of jewelry. 10. To look more professional and put together, button up a chambray shirt (or any button down), tuck it into your pleated skirt, add a statement necklace, and you’re good to go. 12. 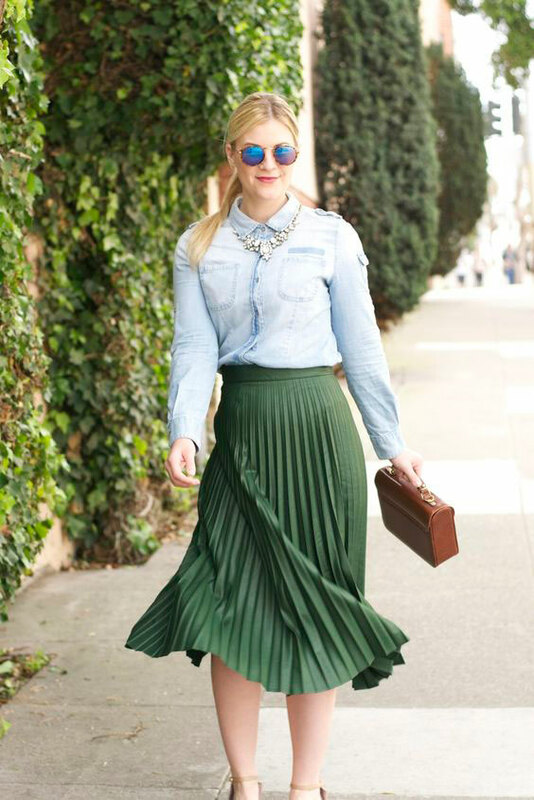 Your pleated skirt doesn’t have to be worn with dainty shoes – worn with ankle boots, it automatically looks cooler. Add a graphic tee, a scarf, and a leather jacket.